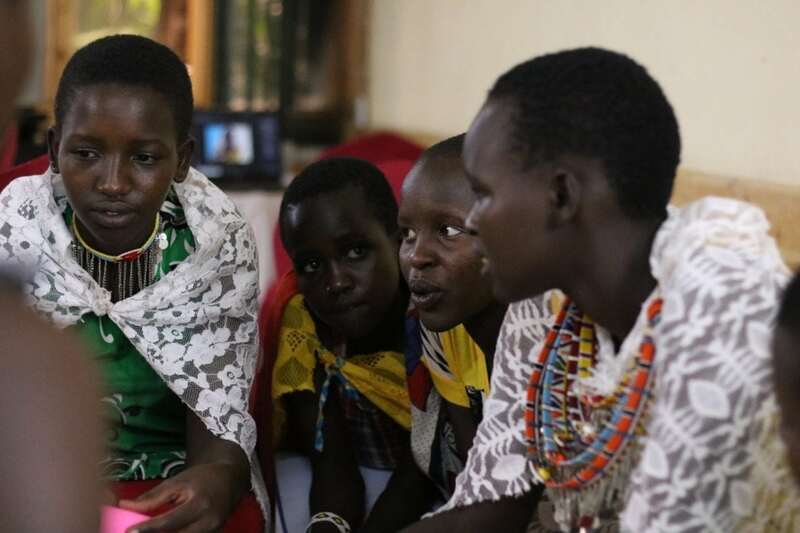 Kenyan girl leaders have achieved an important milestone in their fight for girls’ rights. Through Rise Up’s partnership with the Center for the Study of Adolescence (CSA), our Girls’ Voices Initiative enables Kenyan girls to learn about girl-centered advocacy, leadership, and decision-maker education, and develop their own strategies to improve girls’ lives. Following a five-day intensive workshop, the 24 girl leaders developed a strategy to bring an end to female genital mutilation (FGM). With the support of their teachers and chaperones, the girls created action plans to advocate with key decision-makers in Kajiado West County, Kenya to fully implement the Female Genital Mutilation Act (2011). FGM correlates with high rates of child marriage, teenage pregnancy, and school dropout for adolescent girls (UNFPA 2017). Although Kenya’s FGM Act prohibits female genital mutilation nationwide, the practice remains common in certain regions. The prevalence of FGM in Kajiado County is amongst the highest in the nation, affecting about 73 percent of women and girls (KDHS, 2014). Motivated to change these harrowing statistics and their own experiences, the girl leaders in the Girls’ Voices Initiative (GVI) mobilized 160 girls in Kajiado West County schools to demand their rights. Together, these girls helped drive support for girls’ rights within their schools, asking for support from the school chairmen, teachers and boys, and within their community, asking for support from key chiefs and village elders to get them to join their cause. The Assembly also committed to continuing discussions with girl leaders and the rest of the girls in the community to help them create more effective and holistic solutions to improve girls’ lives and protect their rights. As the GVI girl leaders continue their advocacy action plans, they have the potential to improve the lives of over 150,000 adolescent girls across Kajiado West County by protecting their rights and improving their access to sexual and reproductive health and education.